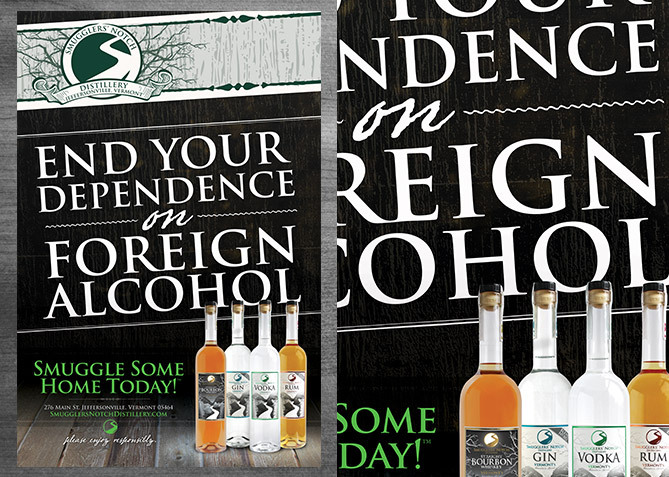 We’ve helped SND with their marketing and branding from the beginning. 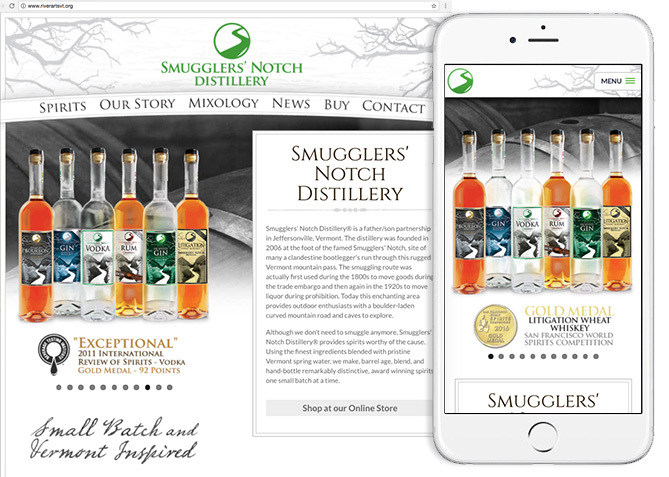 We helped position their brand with a high-end look and feel that is a true representation of the quality product SND produces and has won countless awards for. 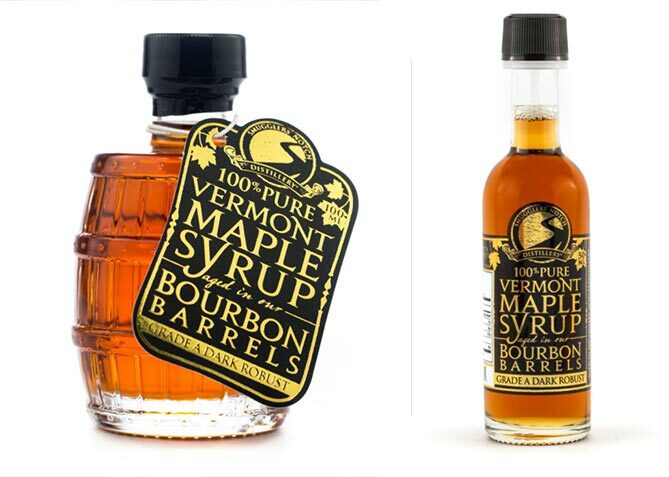 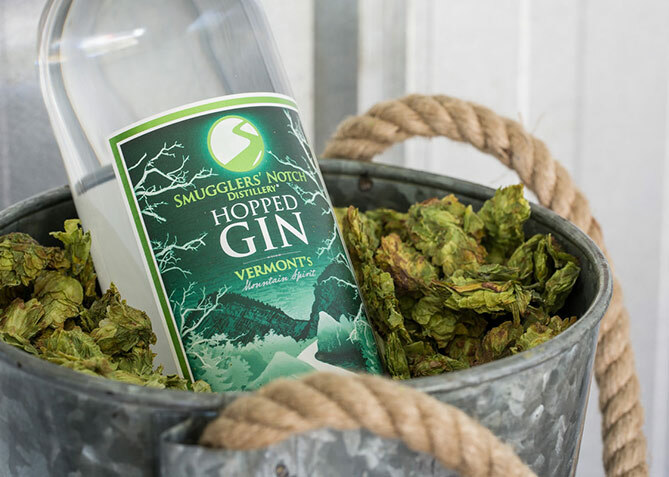 Vermont is known for its beautiful landscape, craftsmanship, pride in work and an appreciation for quality small batch product. 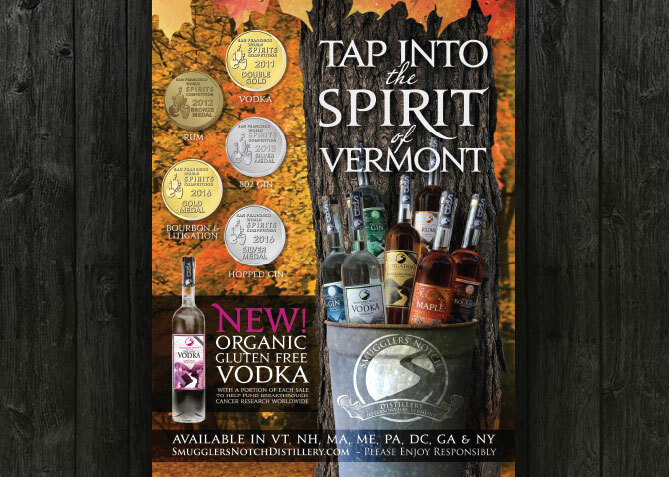 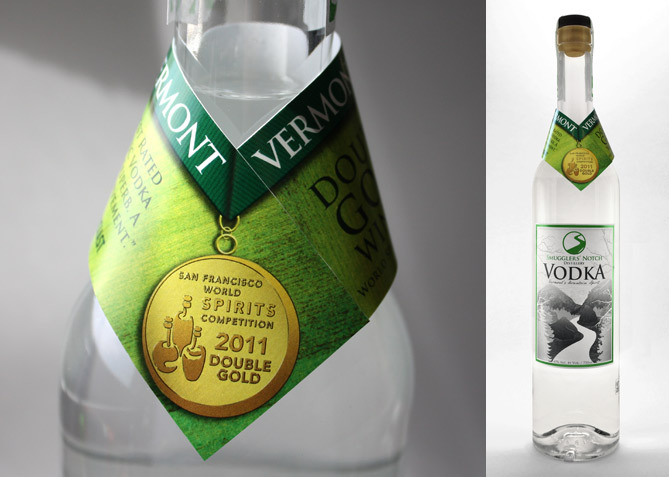 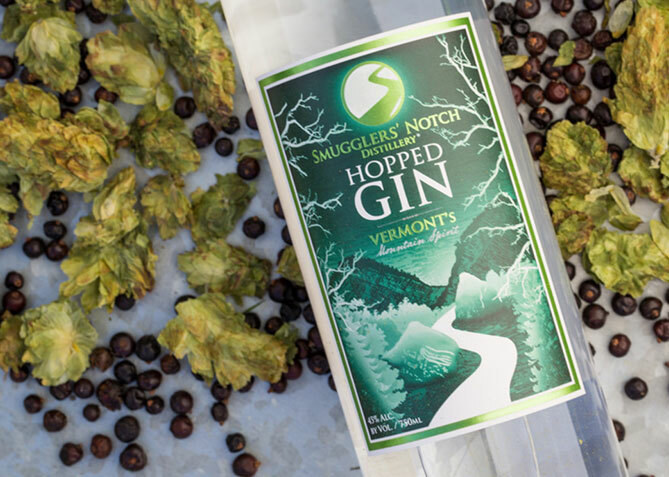 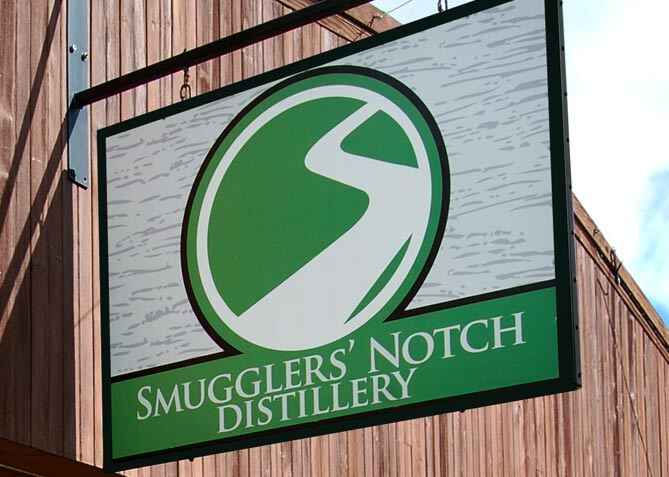 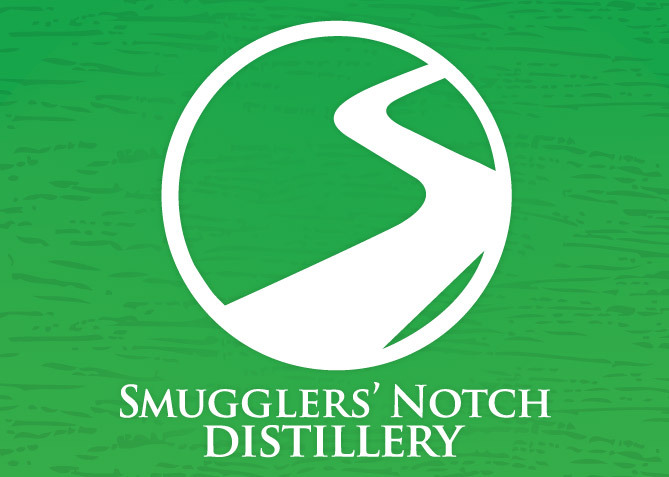 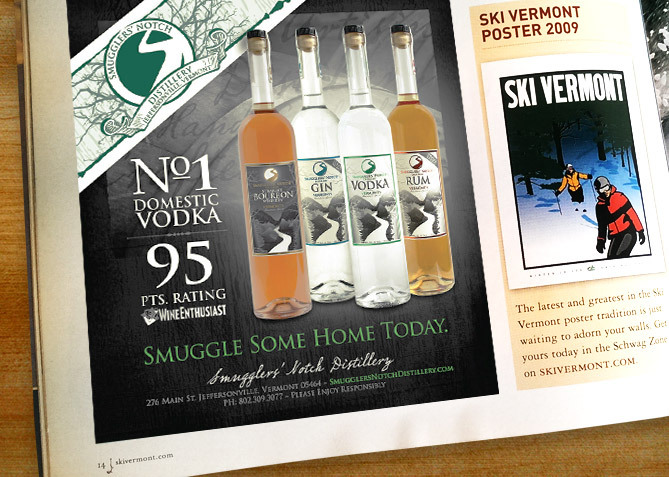 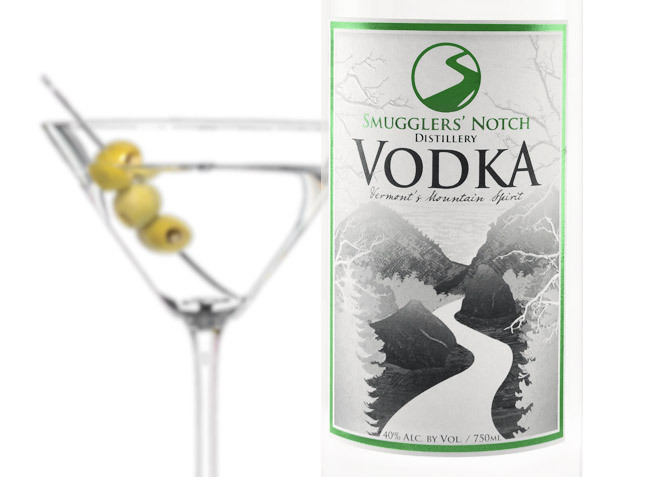 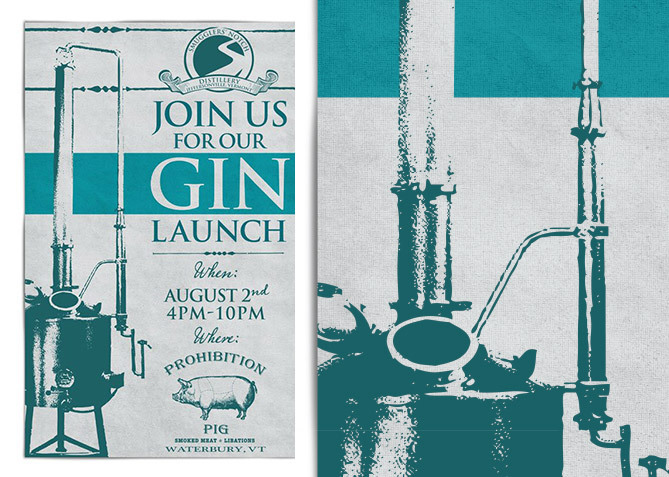 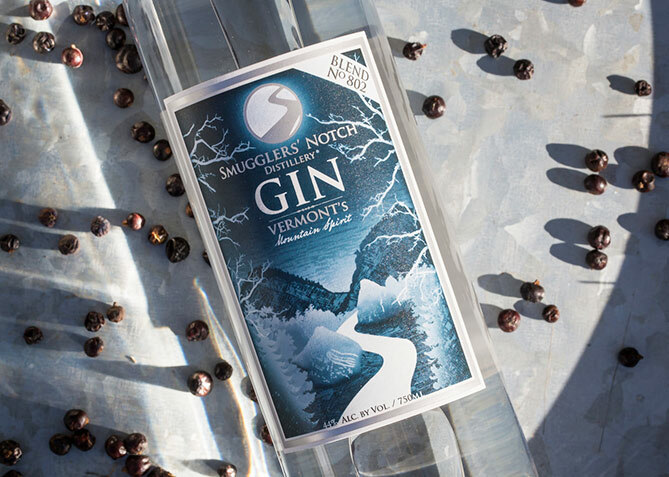 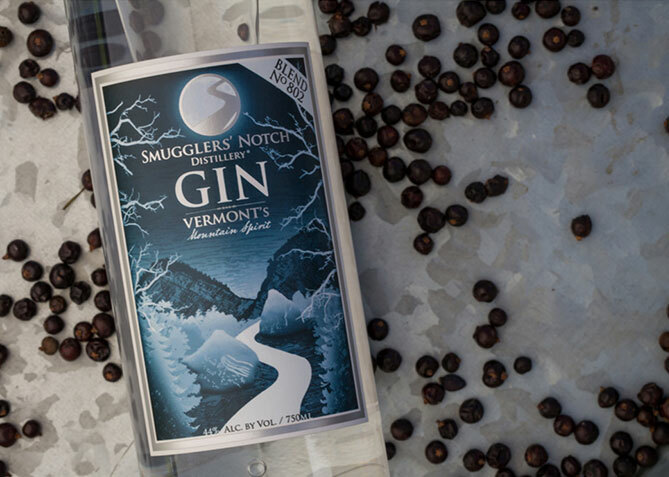 Smugglers' Notch Distillery embodies all of those virtues and has been recognized and awarded for its extraordinary Vermont inspired spirits that have been crafted to stand alone or bring any mixed drink up a notch to exceptional. 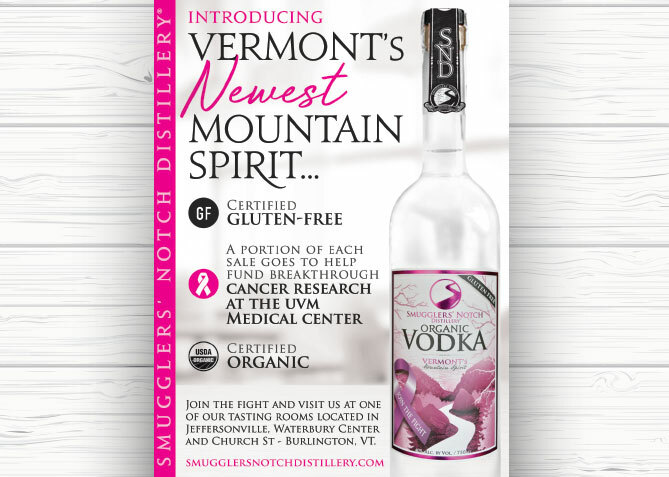 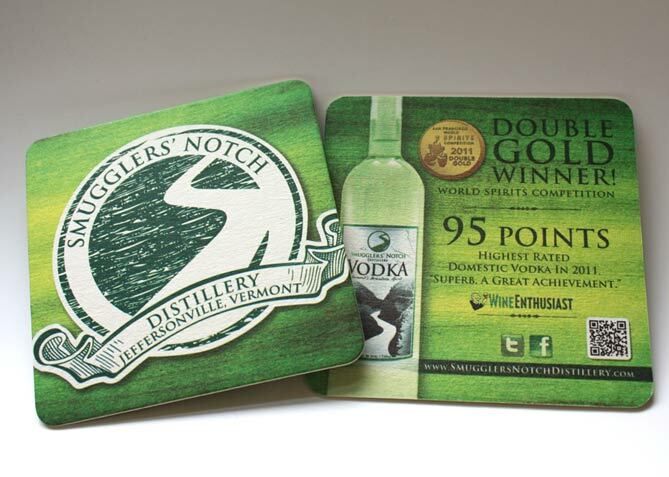 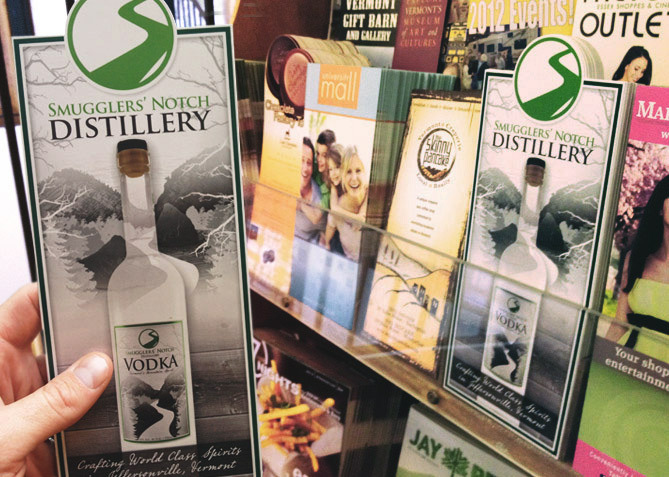 Smugglers' Notch Distillery was one of our first clients and in turn we were their agency of choice and called on to develop their very first round of branding. 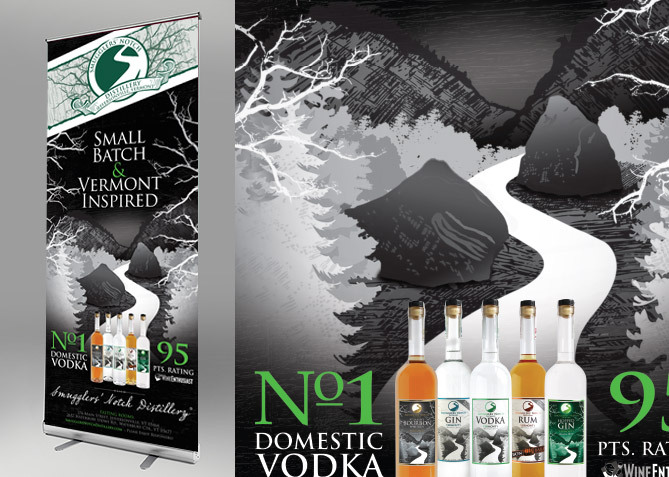 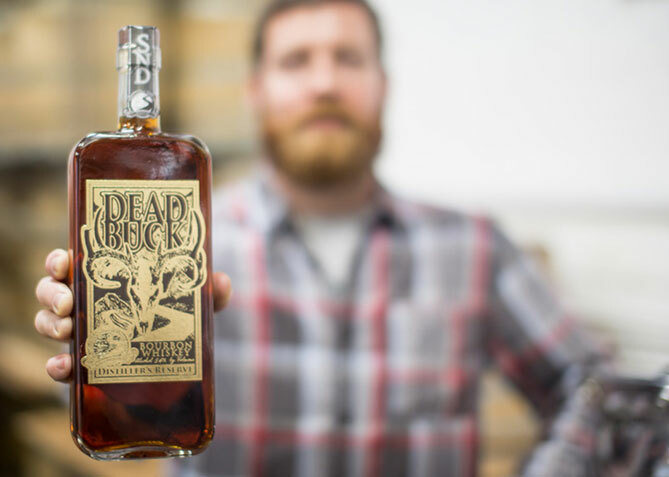 Since those early days we’ve helped them differentiate themselves and their brand with a range of design work that lives up to the quality and taste of their spirits, and the numerous awards they’ve earned from spirit connoisseurs both far and wide.